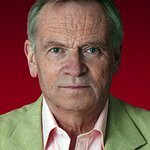 Author Jeffrey Archer has organized a special celebrity charity auction at Christie’s in London on June 27. 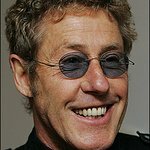 “Around fifteen items have been donated by friends, and all the proceeds will go to the charities of their choice,” says Lord Archer in his official blog. "I have also donated the chief time-keeper’s stopwatch from the race on 6 May 1954 in Oxford, at which Roger Bannister ran the first sub-four minute mile (3mins 59.4 secs); the proceeds from which will go to the Oxford University Athletics Club. “Those who have already given something include Margaret Thatcher, Michael Parkinson, Terry O’Neil, Lawrence Dallaglio and Laurence Graff. More details will be released over the coming weeks… so if anyone has anything quite exceptional they wish to add to the list, then let me know! The following day, Tuesday 28th, Christie’s will be conducting a sale of a part of my personal art collection at their Kensington salesroom." The item donated by former British prime minister Margaret Thatcher is the handbag she carried during meetings with Ronald Reagan and Mikhail Gorbachev during the cold war.